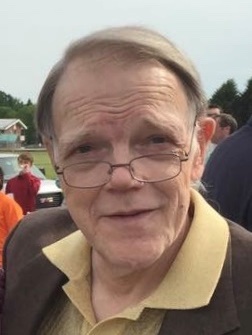 Portland, ME - Joseph A. Dehais, 68, of Portland died on January 10, 2018 of complications of Type 1 Diabetes. Joe was born in Glens Falls, New York. He was the son of the late Robert J Dehais and Barbara L Dehais. Joe grew up in Glens Falls and in Waterville Maine. He graduated from Coburn Classical Institute in Waterville and went on to Princeton University where he studied Chemical Engineering. At Princeton he was a member of Cloister Inn. He continued on with graduate studies at Rensselaer Polytechnic Institute where he was very active in campus government. Joe had a diverse professional life in sales, teaching at Hartwick College and Towson University, and a number of entrepreneurial pursuits that blessed him with many international travel adventures. Joe lived in Washington DC for many years. A voracious reader, avid writer and connoisseur of early black and white films and short wave radio programming Joe more than earned the title of professional student. He also enjoyed bicycling and photography. Joe is survived by his sister Connie Dehais of Portland Maine, his brother Bill and sister in law Nita Dehais of Cumberland Maine, a niece Celia Dehais of South Burlington VT and nephew Cameron Dehais of Cumberland. A private burial will be held in the spring at the convenience of his family.